Crispy Tex Mex Egg Rolls, paired with a delicious avocado cream sauce is crunchy, tasty and made at home any time you want. Some of my favorite parties to host are football parties. I love watching the game! I love the commercials! I love getting together with good friends! I love the excitement of a close game, but most of all…. I ❤️ the food! Homemade chili, hasselback potatoes, papas nachos, brownies, and cookies typically grace my countertop and now that football season is back, I’m adding something new to the menu, homemade Tex Mex Egg Rolls. I’m seriously in love with these little egg rolls. They are deliciously addicting, chewy and cheesy on the inside and warm and crispy on the outside, just like they should be. And if I had to pick just one party appetizer as my absolute favorite, this would be it! These Tex Mex Egg Rolls are ridiculously good! Typically, I have everything needed to make the filling and dipping sauce. The only thing left to buy are the vegan egg roll wrappers, and Twin Dragon Asian Wrappers are now my go-to. They are the only wrappers that I found (at Walmart) which are vegan, GMO-free and made from 100% natural ingredients (click link for more information OR for a GF option, check out these homemade wrappers from imglutenfree.com). 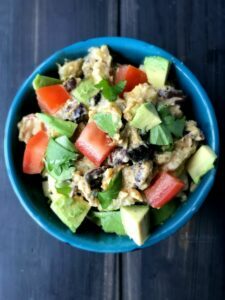 Once you have your ingredients, this recipe is incredibly easy to make, which is another reason why this meatless appetizer will become a favorite in your household too. 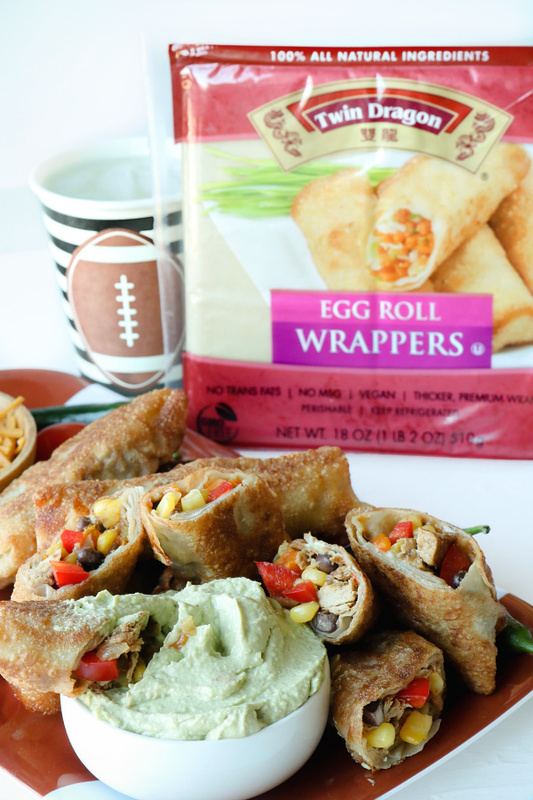 Make the filling ahead of time then roll and fry your Tex Mex Egg Rolls on game day (or any other get-together day of your choosing). You can assemble them a month in advance, then store them in the freezer until you’re ready to cook. How awesome is that? And did I mention the avocado dipping sauce yet? 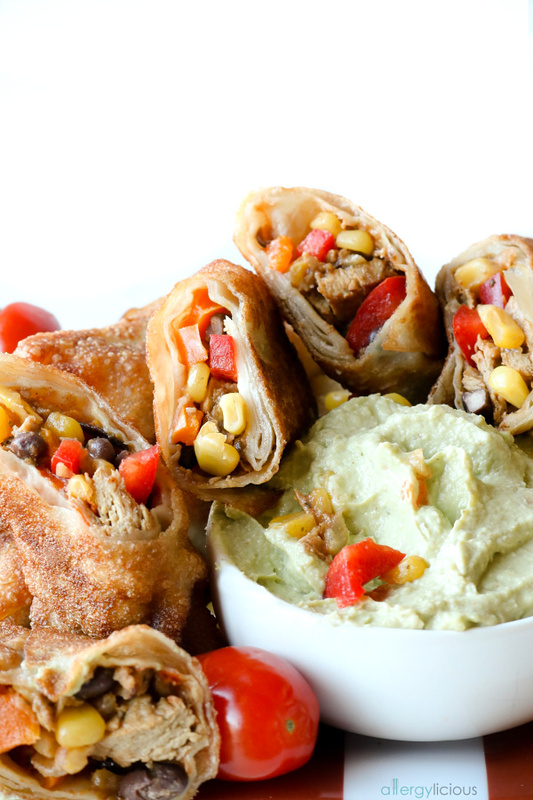 That just takes these Tex Mex Egg Rolls to the next level of awesomeness! But before we get to the sauce, let me just help with one little step….sealing the egg roll so all the contents stay all tucked inside! Lay out one egg roll wrapper with a corner pointed toward you. Place the prepared filling, just under the middle of wrapper. Fold the bottom corner over the filling. Use your finger to spread a little bit water along the exposed edges. Fold the two sides in (to look like an envelope) then roll tightly. One of the easiest methods for cooking these egg rolls is pan-frying them. I fry mine in about an inch of oil on the stove top and after a few minutes per side, they become golden brown and super crispy. 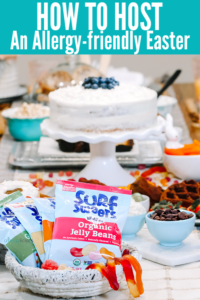 I’m sure you could also use a deep fryer, but I gave mine away a long time ago since it always made so much of a mess (and I’m already a messy baker!). However, you have a couple other options that work nicely if you prefer not to fry them. 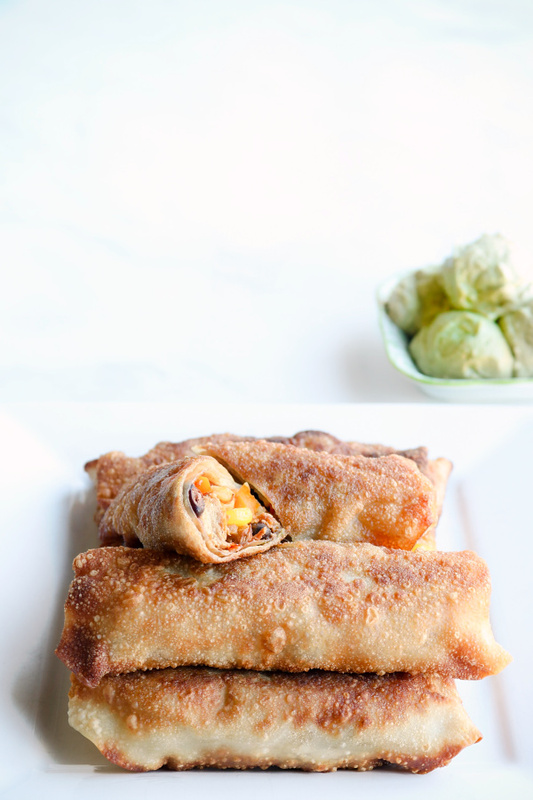 You can bake these egg rolls instead of frying them OR you can also use an airfryer. The first would be baking, which seems like the healthier option but keep in mind that you still need to spray the egg rolls with a little oil before baking, otherwise you won’t be getting a crispy shell. I actually really like the second option, which is using an airfryer! 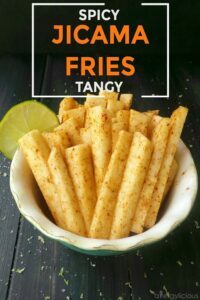 My airfryer (⇽shoppable link) cooked them perfectly on the inside and provided that nice crunch on the outside without much oil at all. 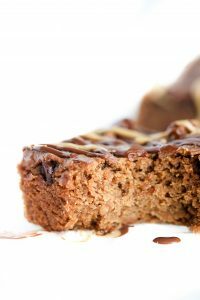 Definitely worth making in here again and worth the small investment to be able to create healthier recipes. 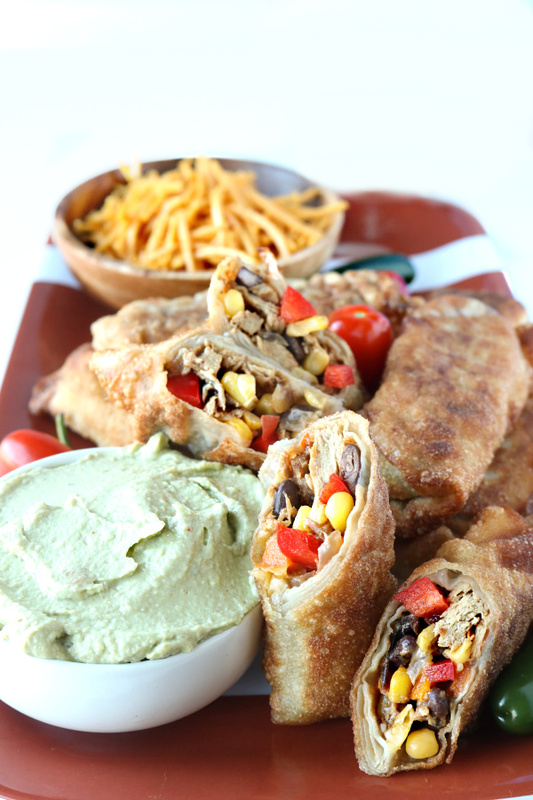 These Tex Mex Egg Rolls are great on their own, however, when paired with the Creamy Avocado Dip, they are incredible. If you’re someone who hates avocado (say it ain’t so) then salsa or even vegan cream cheese/melted cheese would work as a dip but for this house….the AVOCADO rules and so does this dip. Just toss avocado, cilantro, lime, jalapenos and salt into your blender, and blend away. Homemade avocado dip is ready in five minutes and you’ll be hooked! 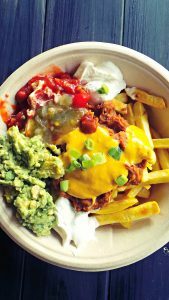 CRAVING MORE TEX MEX RECIPES? Wow, how fun and unique! I love it 🙂 Pinning this to make at our next party!! That dipping sauce looks sooo good. Pinned! I have been trying to find an amazing tex-mex dish and you made it! Better yet is that it is VEGAN! I am in love. So glad you found this Kathy. I’m a tex mex fan as well, so I totally get you. 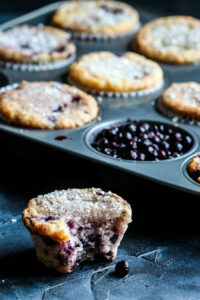 I have never heard of these—what a fun recipe! We don’t have a CF around us, unfortunately–or fortunately :).